No doubt many of you have already picked up the fact that H.M. 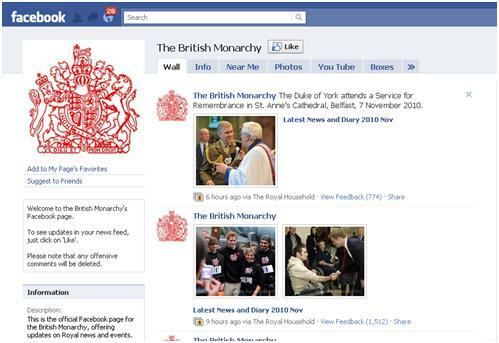 The Queen has launched a fansite on Facebook. This is tremendous stuff and I will avoid trying to make a witty quip on the subject, but have this post simply serve to record this great event! The iPod toting Monarch now lives on Facebook and I for one see this as adding certain validity to FB – I think that’s just me. Already on Twitter, You Tube (The wonderfully named “The Royal Channel”) and Flickr, the Queen is now showing how irresistible social tools are in messaging her subjects. Perhaps this also highlights the older demographic that social tools are now attracting?